John Mattison, Asst Med Dir, CHIO, CMIO, Chief Health/Medical Information Officer and Assistant Medical Director for Kaiser Permanente, SCAL. John focuses on transforming care delivery with information technology, through convergence of exponential technologies and data liquidity. His KPSC team led the design and implementation of the largest integrated electronic health record in the US, and he is the founder of the international XML standard for health record interoperability known as CDA, CCD and CCDA. He has led various national innovation programs including virtual care, sponsored or led numerous digital health projects implemented at scale, is senior advisor to the Tricorder X-Prize, and mentors many digital health startups. 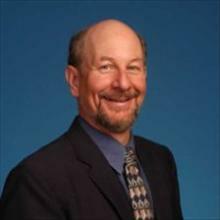 He chairs the eHealth Workgroup of the Global Alliance for Genomics and Health (GA4GH), and is a board member of Open mHealth, the NIH funded ‘Policy and Ethics in Precision Medicine’, the Simms-Mann Foundation, BioCOM, Big Data Advisory Board, IOT Advisory Board, and has taught at multiple Universities including Exponential Medicine at Singularity University, UCSD, Stanford, USC, UCLA and has published widely on IOT, global genomics, policy, privacy, security, international research collaboration models, interoperability, mobile health, Community Health, mindfulness and resilience, and healthcare transformation. He has published in Nature, JAMIA, JAMA, has been quoted in the Wall Street Journal, Forbes, Fast Company, Modern Healthcare, Modern Physician, Mobile Health News, Sloan Management Review, and has authored chapters for four books. He keynotes and hosts various national and international conferences and frequently consults globally. He is an active participant on several global initiatives to bring internet services to underserved communities providing access to both jobs and healthcare. He has advocated blockchain in healthcare for several years and has supported several healthcare blockchain initiatives. His contributions to healthcare have been recognized by various national awards. His current work focuses on personalizing every aspect of health including personalized motivational strategies. He is promoting the use of motivicons within a Motivational Formulary across the Healthcare Plecosystem to restore ancient wisdom, mindfulness and resilience while creating a “Behavioral Symphony of Wellness” Recent presentation: https://exponential.singularityu.org/medicine/innovation-at-scale-virtues-of-plecosystem-approach-with-john-mattison/ Full bio available upon request.